We make handmade 'gourmet' doughnuts with original and classic flavours, inspired by many cultures. 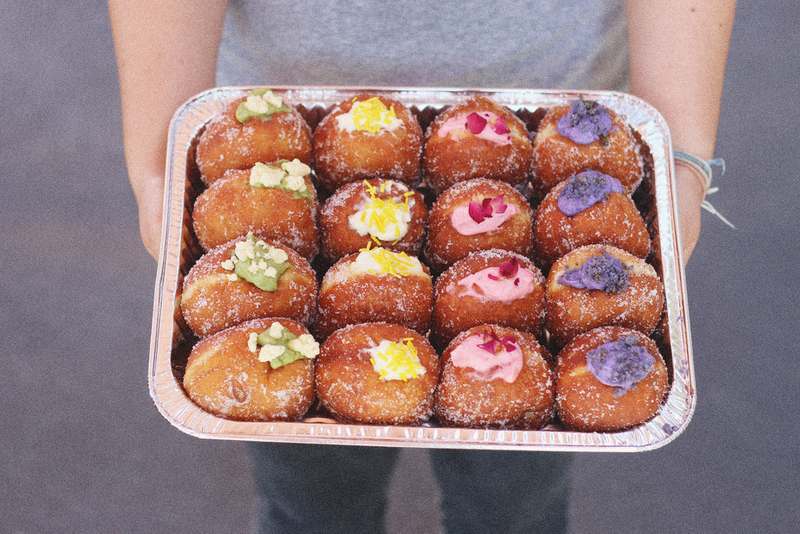 Donut Papi offers Sydney's best donut flavours and will make your tastebuds (and tummies!) wanting for more! We always experiment with innovative and creative flavours to cater to everyone's palates using only quality ingredients. It started with a craving in 2015. Growing up, my dad always brought a box of donuts home every week and I remember finishing the ENTIRE box, Donuts always remind me of my childhood and the good ol' days. Fast track to Sydney in 2015 that craving led me searching for a recipe that was nostalgic and reminded me of that box that I devoured when I was young. I tried developing my own flavours inspired by many cultures in Australia including my own, with flavours like Ube, Pandan, Matcha and even savoury delights. I believe that donuts shouldn't just be cinnamon, jam or chocolate! BE PART OF OUR GROWING INSTAGRAM FAMILY! THIS FORM IS ONLY FOR EVENTS, WHOLESALE, CATERING, WEDDINGS OR BULK ORDERS (over 100 units). Please be specific with your enquiries. Size, quantity, glaze, toppings, all of these variables are important to give you a faster quote. Please check the date of your event as we only operate Wednesday- Sunday. Email orders/ quotes can only be placed within three months of purchase date. We do not customise LETTER donuts. Delivery can be arrange with private couriers . If you can, we strongly recommend you to pick up in our Redfern shop.